This week at Build, we have the opportunity to show how Azure and Azure Stack enable developers to build intelligent applications everywhere the business needs. Since launching Azure Stack last year, we continue to deliver innovation to Azure Stack and drive consistency with Azure. Below you’ll find a rundown of announcements and a recap of a few key updates since launch. When you can’t bring your data to Azure services, Azure Stack extends the Azure application platform and brings Azure services to your data. For edge scenarios, with poor network latency or even entirely disconnected, this is especially important. 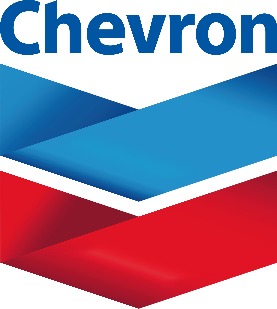 Edge is especially valuable for customers, like Chevron, who regularly operate in locations with limited connectivity but still want to use the power of cloud. Recently, at Hannover Messe 2018, the Azure IoT team announced that Azure IoT Hub for Azure Stack is in development. This work will enable customers and partners to build Industrial IoT solutions which run partially or entirely on-premises or in an edge scenario. For customers who want to get up and running quickly with AI on the edge, the Microsoft Machine Learning server is available today in the Azure Stack marketplace. With that marketplace image, you will be able to easily create a working environment with R-server and the Azure Machine Learning Workbench. Azure SDKs can target both Azure and Azure Stack, which means you can have a choice of languages and the same development model against both clouds. Today, the Azure SDK supports API profiles for Go, Ruby and Python on Azure Stack. We’re continuing to extend Azure SDK support to Azure Stack by enabling API Profiles capability for .NET and other languages later this summer. We are also publishing a new API Profile to represent the latest capability in Azure Stack. You can learn more about API version profiles in our documentation. While Hybrid Cloud has removed many traditional roadblocks for organizations that need flexibility in how their applications and data are hosted, we frequently get asked how we support modern DevOps with Azure and Azure Stack. We are excited to announce that Visual Studio Team Services (VSTS) hosted DevOps service is being extended to support DevOps scenarios such as CI/CD with Azure and Azure Stack. Specifically, we added the capability to connect to Azure Stack subscriptions in VSTS Release Management (RM). We’re also bringing this same functionality to our on-premises Team Foundation Server (TFS) customers, in TFS 2018 Update 2 GA release. With this new feature, customers will now be able to easily deploy their applications through VSTS Release Management on-demand deployments or as part of their CI/CD pipelines powered by VSTS or TFS, regardless of how their environment is configured (Azure, Azure Stack or even a hybrid cloud scenario). Taking advantage of this capability requires zero code changes to existing applications. Simply connect to Azure Stack using the same features as you do for any other VSTS RM deployment target, which we are enabling through our “Azure Subscription” dropdown within the release definition editor. We’re also happy to publish the first round of hybrid cloud application solutions that will help you jump start your work across Azure and Azure Stack. We’re starting with the basics: establishing connectivity, identity, and CI/CD. We will continue to release more advanced patterns as we go and you can see the details on our solution page. Microsoft has long enabled customers the choice and flexibility of matching the right software with an infrastructure to run it, and Azure Stack helps expand that basic promise for the next generation of cloud native applications. 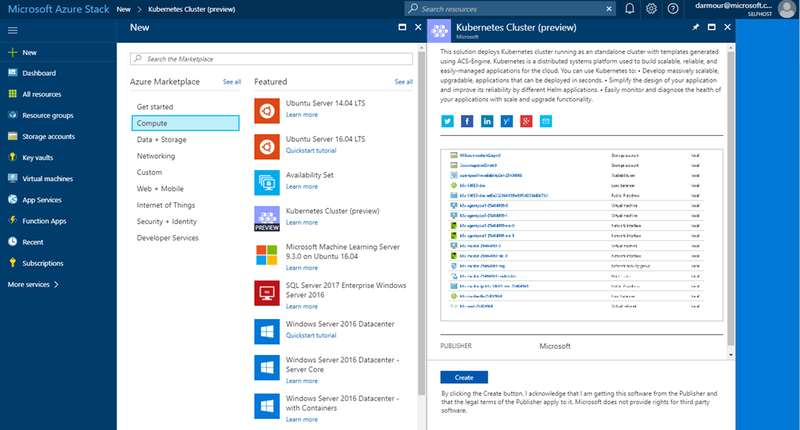 The Azure Stack team is happy to announce the preview releases of Templatized Service Fabric and Kubernetes Clusters. This will help you to run microservices and container-based workloads using the IaaS capabilities of Azure Stack. In this way, our customers can invest in cloud native workloads and deploy them on-premises. This work will simplify and standardize deployment and operations for Azure Stack users. You can learn more about how to try the Kubernetes template and Service Fabric template. Pivotal announced that Pivotal Cloud Foundry 2.2 will GA on Azure Stack in June. “Pivotal Cloud Foundry combined with Azure Stack delivers hybrid consistency, driving operational efficiency and developer productivity on-premises and in the cloud. With PCF and Azure Stack, you can just start working.” – Ian Andrews, VP Product, Pivotal. To learn more about Pivotal Cloud Foundry on Azure and Azure Stack, check out the Pivotal blog post. Azure Stack now supports availability sets across multiple fault domains. Cloud application developers have been using availability sets in Azure to ensure high availability for their workloads and protect themselves from underlying maintenance and outages. You can bring this capability into your own facility with Azure Stack. We released the Azure Storage Services API version 2017-04-17 in Azure Stack. This enables Azure Stack users to perform URL-to-URL copies, simplifying the movement of data between Azure and Azure Stack. This will be especially beneficial to customers looking to create hybrid applications that span Azure and Azure Stack. Compliance assessment reports for Azure Stack are complete. Helping customers meet custom regulatory requirements for their cloud applications is one of the charter missions for Azure Stack. Accordingly, we’re doing a lot of the legwork to help customers navigate this complicated and time-consuming task. To learn more about the reports, and how they could factor into your architecture, check out the blog post. It’s always exciting to share some of the work that has been going on behind the scenes. Let us know what you think and what you're doing with Azure Stack in our User Voice community.